Help make 2019 a prosperous one for your customers and encourage them to take part in our Chinese New Year themed treasure trail. Customers need collect 10 different stamps stamps in the correct order from the 22 participating businesses across Boscombe, Pokesdown, Southbourne and Westbourne for their chance to win £8,888.00! Visit www.cny2019.co.uk for the full list of businesses and further details. Love is most definitely in the Air for our Coastal businesses, especially for the Westbourne Business Association who are celebrating all things romantic in the businesses of Westbourne. Let us know if you have any Valentines offers and we will help you promote those in the lead up to the big day! Reach out on annette@coastalbid.co.uk and we will share on our platforms. Mother’s day falls on 31st March this year and we would like to help spread the word on any offers and gift ideas for all of those lovely Mums. Please reach out to the Coastal BID team on annette@coastalbid.co.uk and we will share on our platforms. LoveBournemouthBunnies will be back! After the tremendous success last year – we will release our golden bunnies again for an enjoyable hunt by your guests and customers. Customers will need to come into your shop to find the bunnies, take the photos with both the physical and digital bunny and share on social media to enter the competition! 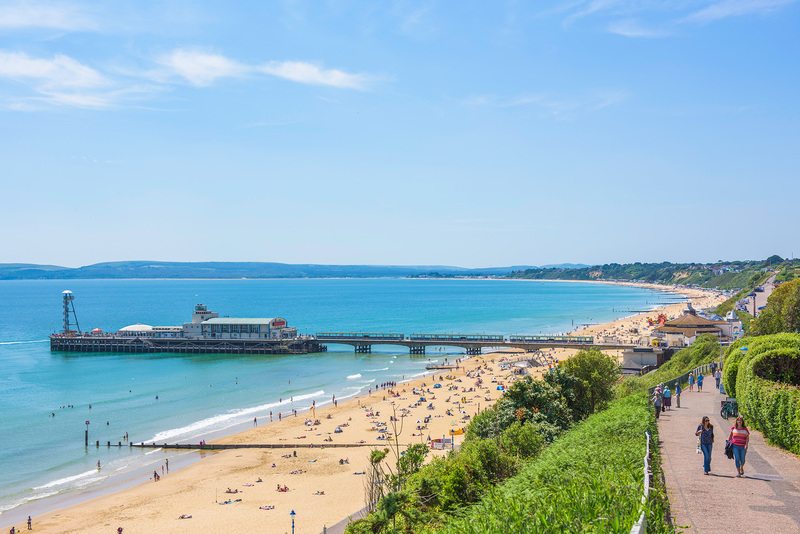 Head to Bournemouth for this popular half marathon, 10K, 5K or 1K family fun run. Enjoy running alongside the English Channel coastline to raise vital funds for life saving research. Bournemouth 7s has become the World’s Largest Sport & Music Festival and celebrated its 11th Anniversary in 2018! Still privately owned and directed by Roger and Fleur Woodall, the festival is managed by a dedicated team who are proud to bring the #SportingGlastonbury to the South Coast every May. With numerous awards under its belt, the festival now attracts over 30,000 people and over 400 sports teams to Bournemouth over the last weekend in May. The polo at Sandbanks (the British Beach Polo Championships) is the largest beach polo event in the world. There’s no shortage of choice at the event. When polo is played in an enclosed arena it has been referred to as ‘Ice Hockey on Horse Back’. Spectators are close to the action – they can fully appreciate the horsemanship, speed and gladiatorial nature of polo. For a second year, Motors By the Sea’ Festival will showcase exciting exhibits to wow visitors – with an array of special vehicles from the past and present day and giving a preview of future motoring. The event will give local motoring fans a platform from which to show their vehicles, for mechanics and auto shops to demonstrate their talents, for automotive enthusiasts to network and gain knowledge from dealers, collectors and industry experts alike. Join the spectacular spooky fun taking place this Halloween! All the rage with youngsters, Halloween is a spooky, special event with an excuse to get dressed up have fun, and trick or treat! Halloween is becoming more and more popular year on year in the coastal areas. Feel the wonder at Bournemouth’s unique, free festive trail 15 Nov 2019 – 2 Jan 2020. Experience the magical, mystical and memorable spectacle of over 100 glittering trees and illuminations. Explore the Alpine Market and skate in the enchanting Victorian Lower Gardens. Enjoy live music, entertainment and magical illuminations across the town.